Here at Busy Bees Window Cleaning we offer a host of different cleaning services, including commercial, residential, solar panels, communal areas and gutter cleaning. With each of these services we aim to provide the highest quality cleaning finish. Using our knowledge and understanding, along with our great number of years' experience, our window cleaners are able to provide first class cleaning services that meets your every need. 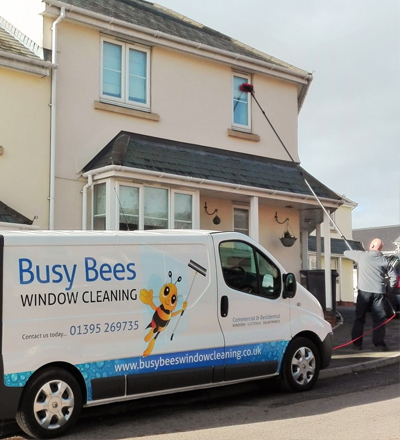 Our team works across Exeter, Exmouth, Sidmouth, Lympstone and the surrounding areas of East Devon to provide first class window cleaning services.